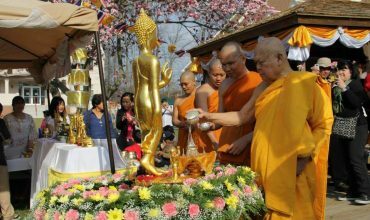 Meditation Groups – Wat Thai Washington, D.C.
To foster Thai culture and traditions. To inform the public of the monastery’s activities. To maintain and promote brotherhood/sisterhood. 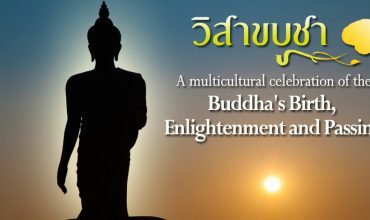 To provide a public relations centers center for Buddhists living in the United States. To promote spiritual development and positive thinking. To help acquire and inner peace. Wat Thai Washington, D.C. temple is non-political. When one makes an effort to do good, one should do it again and again and be happy for having done so. The adding up of good deeds will bring happiness. The course will be conducted in English for non-Thai speaking participants. Other sessions will mostly be conducted in Thai language. Meditation workshop at Wat Thai, D.C. Meditation at George Washington Univ. Meditation at IMF building Washington,DC. Meditation at Ft.Walton Beach, FL. Evening 6:00 – 6:45 A.M.
2. Dhamma Talk and Meditation (in Thai) Every Saturday 2:30 – 4:30 P.M.
3. 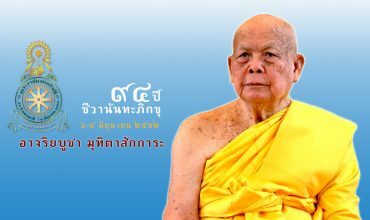 Meditation and Dhamma Discussion (in Thai) Every Sunday 7:00 – 9:00 A.M.
4. Meditation Workshop (in English) Every 2nd, 4th Saturday on the month 9:00 – 11:00 A.M.
5. Thai Language Classes – Adults Every Monday and Wednesday 7:30 – 9:00 P.M.
6. Yoga – Meditation Every Wednesday 7:30 – 9:30 P.M.
7. Thai Music Classes Every Saturday and Sunday 9:30 – 4:00 P.M.
8. Thai Dance Classes Every Saturday 1:30 – 4:30 P.M.
9. Thai Language Classes – Children Every Saturday and Sunday 9:30 – 4:00 P.M.